What is H07rn-f 5g16 cable? H07RN-F 5g16 is a coordinated, heavy duty, flexible neoprene sheathed cable. It is one of the most commonly used flexible rubber cable products. China Huadong Cable Group manufactures all kinds of flexible rubber cables according to a series of German, European and international standards. A series of H07RN-F 5g cables are certified by European VDE. So if you are just need to buy H07RN-F 5g16 cable, Huadong Group will be your ideal cooperation partner. Now contact us by Email sales@hdcweldingcable.com or quote button. Maybe some of people don’t know well about H07RN-F 5g16. Actually, every letter in “H07RN-F 5g16” has its special meaning. Just like industrial keys. What are the difference between h07rn f 5g10 and ho7rnf 5g6? Huadong not only produce H07RN-F 5g10 cables. We also supplies h07rn f 5g10 and ho7rnf 5g6 for you. In a word, Henan Huadong supplies a number of different sizes of H07RN-F 5g cables. The only difference between H07RN-F 5g10 rubber cable and Ho7rnf 5g6 rubber flex cable is that they have different conductor cross sections. 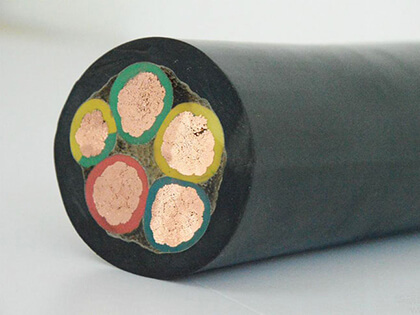 Therefore, no matter what cross-section and size H07RN-F 5g cable you need, just tell us. As a professional H07RN-F 5g10 rubber cable manufacturers in China, we will surely meet your cable Ho7rnf 5g6 requirements to make you satisfied. In addition, you can contact us through the following quote button or you can email us Email: sales@hdcweldingcable.com. In addition, you can chat with us online directly on duty time. Where to buy quality and cheap ho7rn f 5g2 5? We have four h07rn-f 5g16 cable workshops, each with a workshop area of about 10,000 square meters, 20 sets of advanced h07rn-f 5g10 cable production equipment, 20 high-tech engineers and 150 employees. Each production process is strictly inspected by our professional engineers. Starting custom your ideal H07RN-F 5G rubber cable size, the Ho7rn-f 5g cable factory price will send you within 12 hours. Testing: Huadong Group performs rigorous testing on every step of the h07rn f 5g16 rubber cable production process. Package & Delivery: H07rn f 5g16 cable package by iron or wooden drum or according to your requirement. Customer Case: Our h07rn f 5g10 rubber cable products have been exported to more than 30 countries, such as: Russian, America, The Philippines, Yemen, South America, North America, Middle East, Africa, Asia, Oceania countries and etc.